From Lakeville, Minnesota, Leidner carried his high school squad to the 2010 section championship, earning all-metro and all-conference honors in the process. Leidner decided to stay local for collegiate ball, committing to the University of Minnesota. Leidner made 41 starts as a Gopher, finishing his career with a 24-17 record. He rushed for 33 touchdowns, setting a school record for QB’s and placing 3rd in school history for any position. 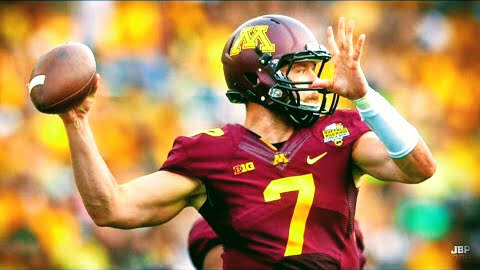 He also ended his Gopher career ranked 2nd in school history in passing attempts (1,029) and completions (580), 3rd in passing yards (7,287), and 5th in passing touchdowns (36). At 6-3, 226 lbs, Leidner went undrafted in the 2017 draft, but was signed by the Minnesota Vikings. He also attended the Baltimore Ravens rookie minicamp. In 2018, Leidner will participate in The Spring League to prove to NFL scouts he belongs on football’s greatest stage.